Canadian dividend stocks are no longer the bargains they were a few years ago, but our top income stocks are up 10% from 2011, handily beating the broad Canadian market. Gardening is a relaxing pastime. Watching plants grow and prosper until they produce bountiful harvests is highly rewarding. The only downside of the hobby is its tendency to generate a surplus of zucchini. Like avid gardeners, conservative investors want their stock dividends to grow. They aren’t in it for a quick trade. Instead, they follow a slower, steadier method that requires only a little weeding and pruning from time to time. It’s an approach that lets more than a few investors enjoy a comfortable retirement. To help you find a profitable path to life after work, we’ve scoured the Canadian stock market for good dividend stocks to plant in your portfolio. Click to download your own personal copy of the Retirement 100 spreadsheet to search, sort, manipulate and analyze Rothery’s top 2012 stocks. Or pick up a copy of the November 2012 issue of MoneySense magazine on newsstands now through mid November to read the full version of this feature. You can also buy digital editions of the magazine for the iPad and Android devices. We’re happy to report that so far our results for the MoneySense Retirement 100 have been excellent. Our A-graded stocks have climbed a total of 52.6% since we started in 2007. Stocks rated A or B have advanced an average of 32.2%. More impressively, the profits were obtained over a period that included the largest market crash since the Great Depression of the 1930s. By contrast, the iShares S&P/TSX Capped Composite Index Fund (XIC), an ETF that’s a proxy for the overall Canadian stock market, advanced a mere 2.9% since we began. The iShares Dow Jones Select Canada Dividend Index Fund (XDV), which tracks 30 of our largest dividend stocks, gained 14.5% over the same time. While we’re happy with these results, we aren’t saying you’ll make a fortune buying every A-rated stock on this year’s list. As past years have demonstrated, the stock market can be a wild and woolly place, where some years are good and others disappoint. Still, we think A-rated firms deserve your attention. For the Retirement 100 we grade Canada’s largest dividend stocks based on their ability to provide generous income to investors for a reasonable price. If you’ve read a report card, you’ll understand our grades. The best of the bunch get an A, and good ones nab a B. Solid candidates slip through with a C while weaker prospects are sent home with a D or even an F.
On the whole, dividend stocks are pricier than last year and well up from the lows seen in spring 2009. Not only are prices up, but price-to-book-value ratios and price-to-earnings ratios are higher, which is not encouraging for true bargain hunters. Dividend stocks are simply not the bargains they used to be, so it’s wise to expect more moderate returns from them in the future. Keep in mind that numbers are only part of the story. 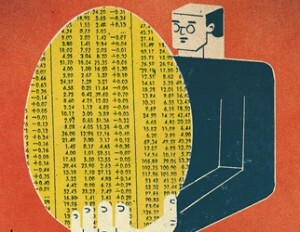 Smart investors look for businesses with unique or intangible features that may not be reflected in hard numbers. These can be beneficial, like understated assets or a competitive advantage, but can also be detrimental. Perhaps a firm has environmental liabilities to clean up, or faces a raft of new competitors. It’s worth your time to consider such possibilities. Before buying any stock, make sure its situation hasn’t changed. Read the news and regulatory filings to get up to speed. Like any screening strategy, the purpose of the Retirement 100 is to help you spot good ideas you can investigate further. Grades are based entirely on the numbers. We didn’t factor in personal opinions but turned to the Bloomberg database for detailed financial data, starting with the largest dividend-paying stocks by market capitalization. Next, we trimmed the initial list to remove firms in existence less than a year or that lack the detailed data needed to crunch the numbers. Grades are based on three main criteria: yield, reliability, and value. We look for firms paying good, and growing, dividends because income is a must. We favour those with strong earnings and reasonable debt. Finally, we stick to stocks with low price-to-earnings and low price-to-book-value ratios. Putting these together we arrived at the final grades for Canada’s largest 100 dividend stocks. While only five earned an A, 18 managed a solid B. We believe both A and B stocks are worth your consideration.